And away we go! I am off to the annual Houston International Quilt Festival this week. I hope to see you there! 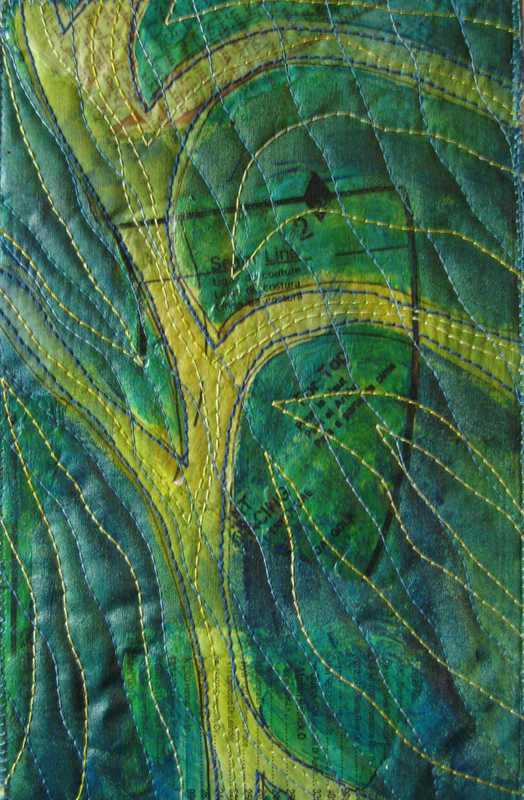 This image is a piece I donated to Ami Simms’ Alzheimer’s Art Quilt Initiative. You can stop by their booth and purchase as many Priority: Alzheimer’s Quilts as you can carry at Festival this year! I will be hanging out at the Festival hoping to meet you. Look for my art quilt, Diamonds, in the judged show, Quilts: A World of Beauty, and also some smaller 9″ x 12″ work in the Studio Art Quilt Associates booth. Yes, I will be happy to tell you how I made Diamonds. No, I am not totally crazy. I said totally.